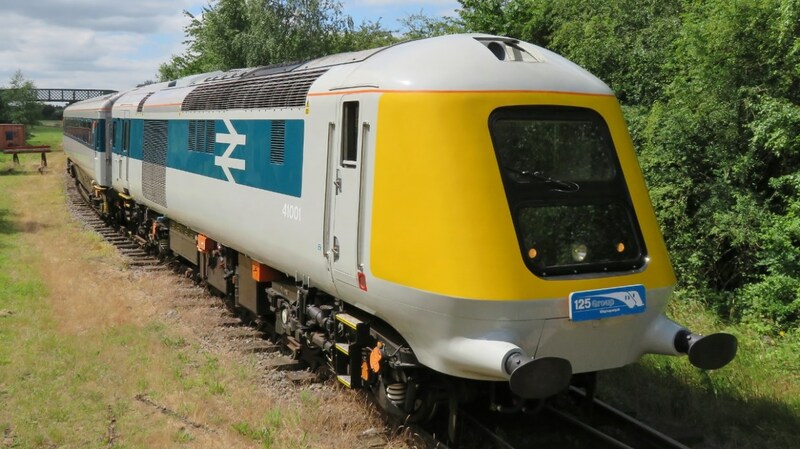 Prototype HST Power Car 41001 will headline the Keighley & Worth Valley Railway Diesel & Mixed Traffic Gala, Friday 3rd to Bank Holiday Monday 6th May. 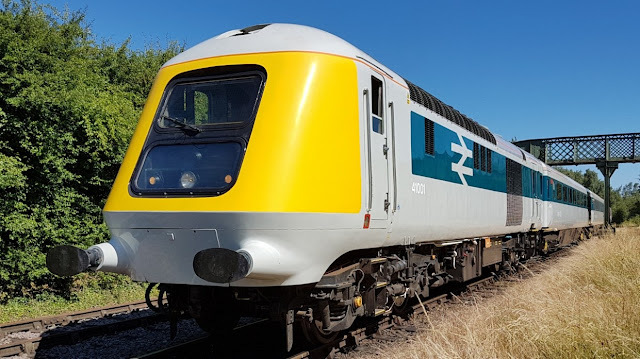 The Prototype HST was built in 1972 and during testing between York and Darlington in 1973 smashed the UK rail and world diesel speed record reaching 143.2mph. It was the fore-runner to the hugely successful InterCity 125 Production HST fleet which revolutionised long distance UK rail travel. 41001 is part of the National Collection, restoration was funded and carried out by 125 Group under the ‘Project Miller’ banner after the power car had spent over 25 years as a static exhibit at York NRM. The power car is fitted with a ‘screaming’ Paxman Valenta engine of the type which originally powered all HSTs. The unique locomotive will work public services between Keighley and Oxenhope, hauling five of 125 Group’s Mk3 coaches, recreating the look of the Prototype High Speed Train. The Gala will also feature other guest locomotives and the K&WVR resident fleet, for more details see the K&WVR website HERE.